Home › Latest News › Fitnatic Celebration! It's approaching quickly! A celebration of runners, walkers and fitness enthusiasts that still want to shop the busy holiday weekend! Fleet Feet Sports Madison & Sun Prairie will be offering specials throughout the weekend. "Dare To Be" Tote Bag for $10. We invite you to come back in November 25th-27th, 2016 for 25% off all of the apparel, socks and winter accessories you can fit in your bag! *tote bags available, while supplies last. offer valid on full-priced, in-stock apparel, socks and winter accessories only. excludes cep, wetsuit rentals, strassburg socks, flipbelts and other select soft goods. Fitnatic Bucks are BACK November 25th-27th, 2016! For every $100 you spend (pre-tax), you will receive a *FITNATIC Buck, valued at $20, to use on a future purchase at Fleet Feet Sports Madison or Sun Prairie. In addition, you will earn **reward points! What Else Can You Expect FITNATIC Weekend? 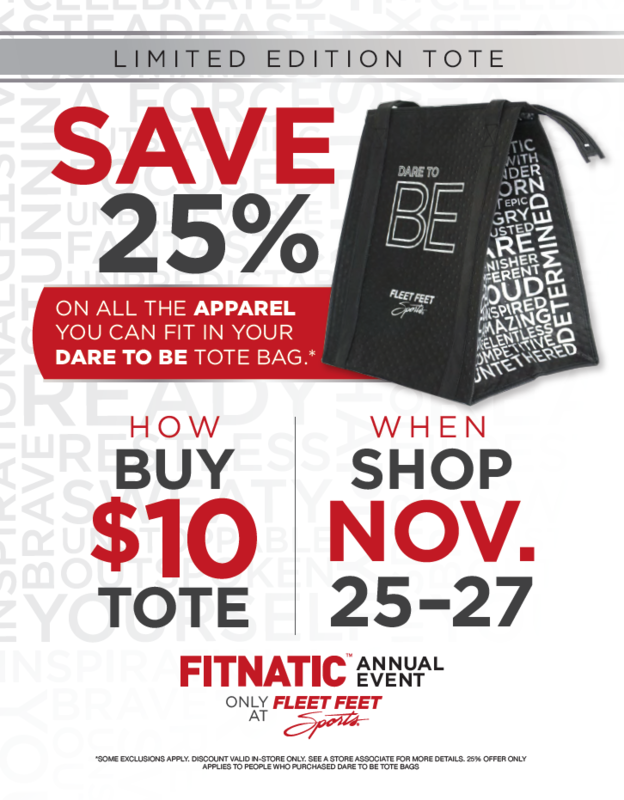 Dare to Be Shopping Totes $10.00 - load the bag up with socks and apparel and save 25%! Back By Popular Demand! You will earn a FITNATIC 20 when you register for our 2017 No Boundaries or Force of Orange Training Group November 25th-27th! FITNATIC Weekend is a perfect opportunity to encourage a friend to try one of our training groups, load up on new workout gear, to be FIT for new shoes or come in and meet our Fleet Feet Team. We will have a full crew working over the weekend! And don't forget, No Boundaries is our 5K Training option and the Force of Orange Training Program offers a 10K, Half Marathon or Marathon option. For more info about our training groups, click here! So you have the gift card and Brooks/Fleet Feet Box -- now time to throw one of these great gifts for under $20.00 inside! The FITNATIC in your life wants to look and feel good before, during and after their work out. We want to make the shopping experience as seamless as possible, so we will have plenty of staff ready to assist you. 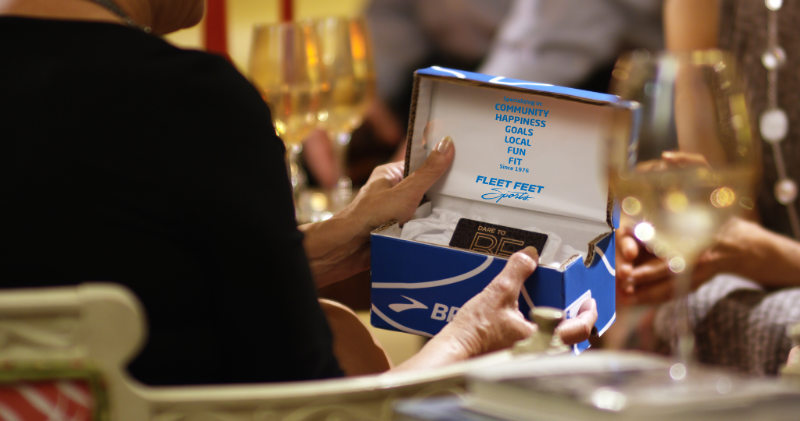 In addition, we offer gift boxes and tissue so you can start your wrapping prep at Fleet Feet Sports. We understand you may be out of town over the holiday weekend, but you can still shop with Fleet Feet Sports! This is our second holiday season where you can shop before and after store hours with fleetfeetsports.com. Matt and I are excited to spend another holiday season with friends, family and the great fitness communities of Madison & Sun Prairie! *Limit 2 FITNATIC 20's per account. All sales final (in order to keep the rewards and FITNATIC bucks). In-stock merchandise and pre-paid purchases only. Specials are offered while supplies last November 25th - 27th, 2016. Not valid on fleetfeetsports.com. Offer valid at Fleet Feet Sports Madison and Sun Prairie only. 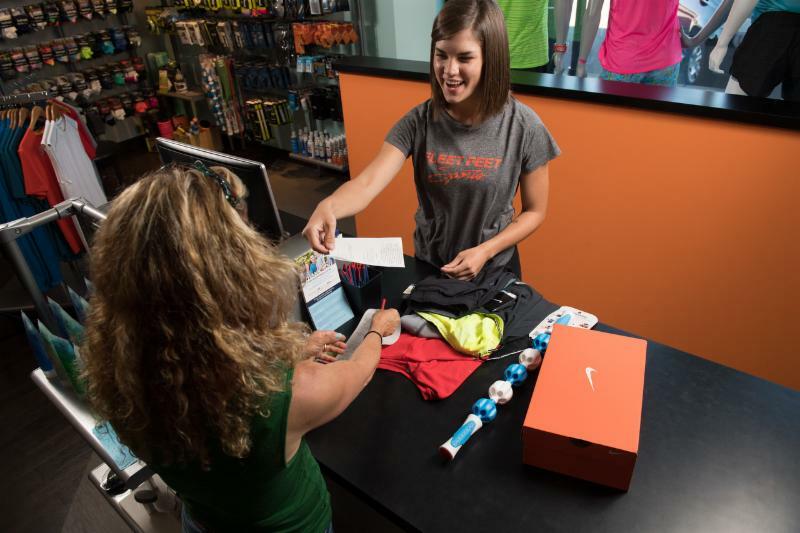 **Every time you spend $150 at Fleet Feet Sports Madison & Sun Prairie, you receive $15 off your next purchase. **fleetfeetsports.com does not have the exact same offers.